Lovely, lovely tent! Bought second hand a good few years ago and lots of happy use. Three separate bedrooms are great for 2 kids who want their own space! However these days it's comparatively fiddly to get up and down - and our curtains have had it! We've been trying to mend the broken little plastic clips for the last 2 years, and still haven't got a good solution. It may finally be time to move on - although I doubt if we'll get such quality again, in an affordable modern one. I also bought our Estoril from the 'well-known auction site' four years ago and I'm really happy with it. Ours is a different version to the one mentioned above, and has three separate bedroom pods, plus a 'wardrobe' space between two of them. And this is the only reason I've not given full-marks. I would have preferred two pods, one smaller, one large, with a central divider. This is because there are only two of us and we sleep on separate airbeds (we don't get on with a double)so, a larger sleeping area would be good. That said, we sleep in the middle one (it's warmer) and have a dressing room each in the other two pods (laughingly called the east and west wing!). If you had very young children one larger inner pod would be better too. We have the sun canopy (more like rain protection! )and also the 'tritent' poles for the option of opening the side panel/window into a canopy, but we've not used that yet. The front also opens up fully should you have really hot weather or for access during set-up. I love the colour-way of our tent, it's blue, grey and sea-green with a lovely yellow rooflining, which makes it sunny even on a dull day. The only other criticism I have, is that the tape ties on the door seem a bit flimsy given the quality of the rest of the tent. It is possible to put up with one person (I have done so) but not advisable as there's the danger of bending a pole. The poles are mainly connected like a metal octopus which is helpful but which can also be a puzzle! Cabanon should continue making this style of frame tent - it's a classic. 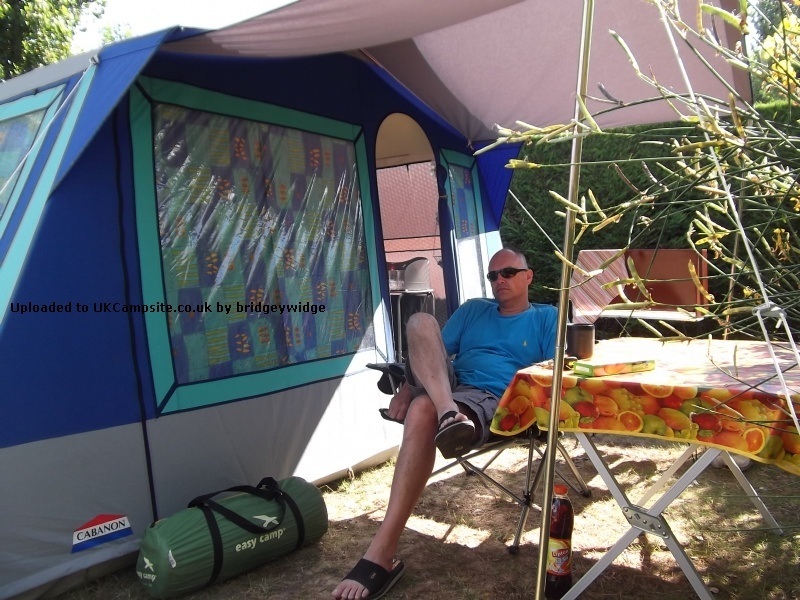 We got our Cabanon Estoril as a bargain first tent via a well known auction site following a very successful Eurocamp holiday. It's very old (late 80s, early 90s?) and in what can only be described as shellsuit colours of turquoise and grey but it's a beauty and we love it. It's not too big, not too small. The canvas keeps you cool/dry/warm and the lack of SIG keeps it nicely ventilated with the skirts keeping out the drafts if folded under your loose groundsheet. The double bedroom pod is just the right size for a double mattress or brilliant storage/dressing area if you don't have to squeeze 3 kids into the main pod. The main pod can be split in two using a curtain or else is lovely big master bedroom with enough space for bed plus wardrobe etc or 4 small or 2/3 older children depending on age/size. The living area is big enough for modest kitchen/storage/dining/sitting and opens right out at the front and at the side for ultimate 'awning-age' although you'll need to find/fashion suitable poles. Ours came complete with curtains, roof liner and front awning and I can't wait until it's summer again to get her out and show her off. I've given it a 9, rather than a 10, out of 10 for two very small reasons. 1. 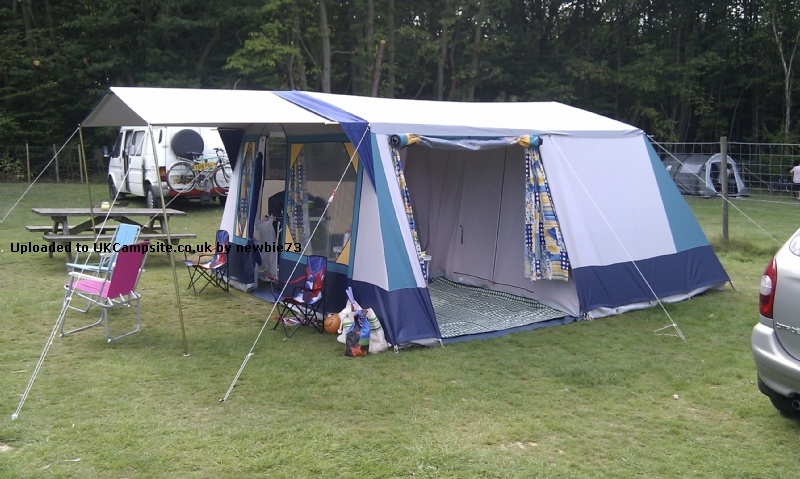 I can't put it up by myself, and 2) We might need a slightly bigger tent once the children are older. 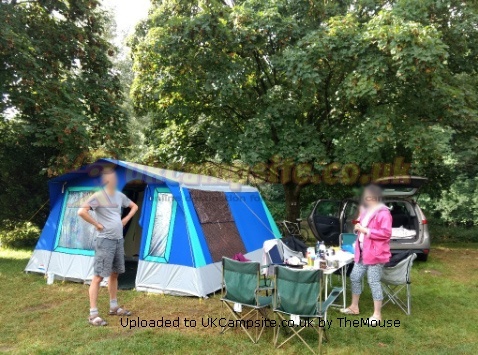 Will definitely be sticking with a Cabanon as a main tent though. Add your review of the Estoril! 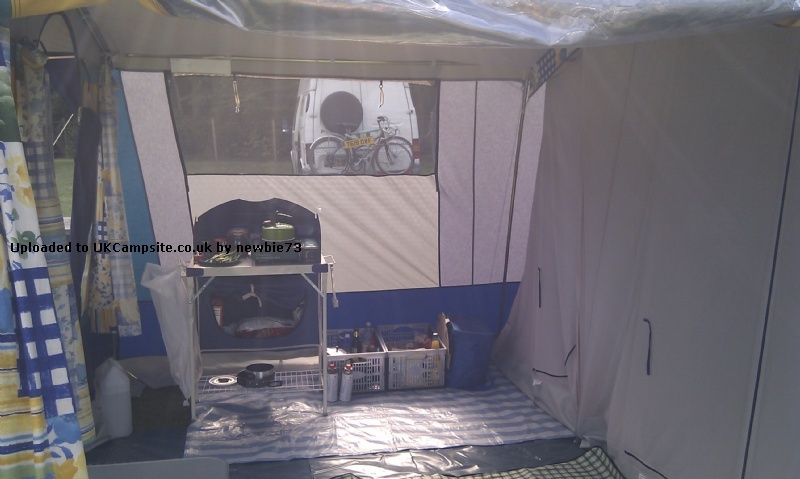 -A zipped side panel that may be rolled-up or used as a sun canopy.